For Israelis, as well as for Bulgarians, the island nation of Sri Lanka in the Indian Ocean brings up thoughts of elephants, golden beaches, tea, cinnamon, and tropical forests. In short - a very appealing, exotic destination. But, what do Sri Lankans think of when considering Israel and Bulgaria? "The east European country of Bulgaria is a name that surely evokes an image much bound to exoticism and mysticism to the Sri Lankan mind," states journalist Dilshan Boange. In an article entitled "Unfolding the beauty of Bulgaria through fiction," which was published in a full-page color spread at the beginning of March in The Sunday Observer, Sri Lanka's English newspaper with the largest circulation, Dilshan introduced readers to my writing. 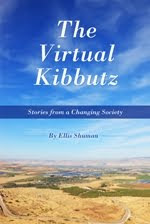 While many of my answers focused on my life, work, and writing in Israel, it was "enchanting Bulgaria" which truly appealed to the interviewer. 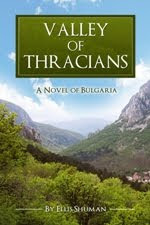 Introducing me to his readers, Dilshan correctly wrote that the "picturesque land of Bulgaria brims with a richness of ancient history, culture, lore and legend" and this led to my writing Valley of Thracians. "It is not often that Israeli authors are interviewed in the Sri Lankan press," Dilshan informed me. I thank Dilshan for the interview, which can be read online here. Sri Lanka is on my almost endless to-visit list, as is Bulgaria. Nice to meet you in BlogLand.